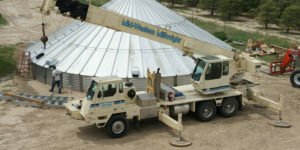 The 35 ton crane, sky track, a loader, skid steer, back hoe, a packer, and our 120’ genie lift. 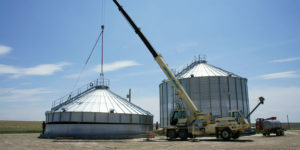 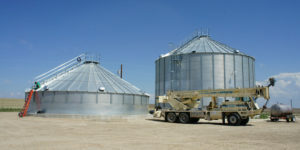 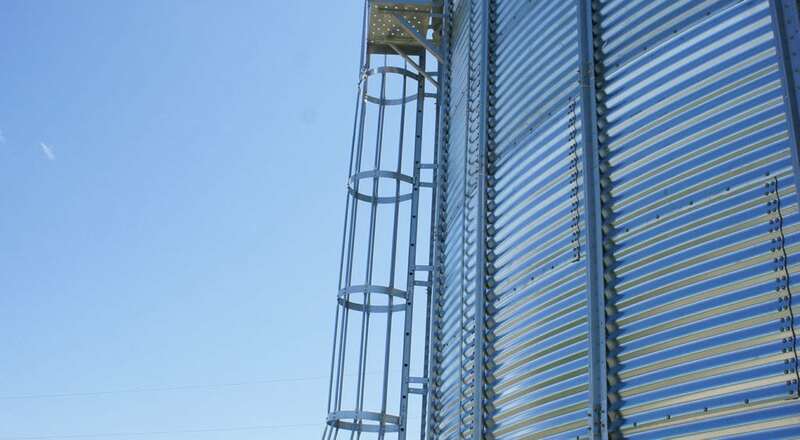 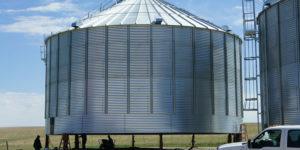 Midwestern Millwright took the existing grain bin plans, and designed the integration with the cone assembly, and designed the foundational space as well. 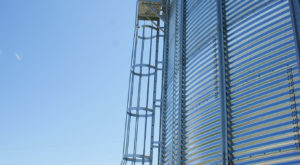 Then we deployed this design end-to-end, leaving a very satisfied customer. 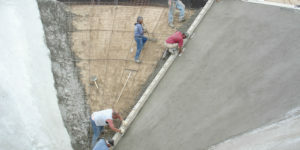 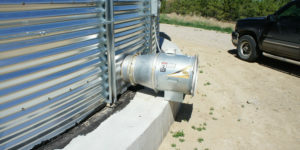 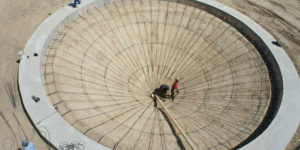 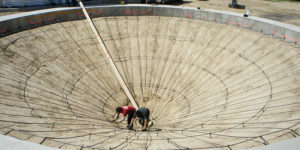 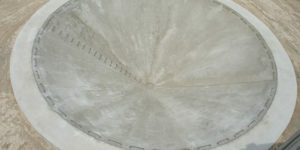 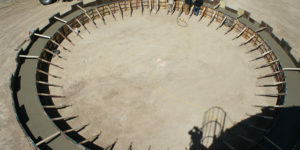 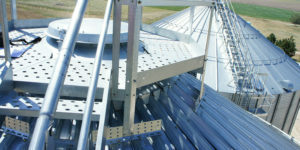 The concrete foundation is engineered to support the significant weight of an operation grain bin facility, and the cone bottom was a unique engineering and build challenge.